Watch these survivors tell their stories.  From the Killing Fields of Cambodia to the labor camps of the Soviet Union and the 1989 massacre in Tiananmen Square, the Witness Project tells the tragic and powerful stories of the victims of communism, past and present. World War II began when the Nazis and their Soviet allies invaded Poland. This is the story of the brave Polish men and women who fought to save their homeland from the communist and fascist invaders. This is Wanda's story. Nal Oum rose from humble beginnings to earn a scholarship to study in Paris and eventually become a medical doctor in his native Cambodia. His education became a liability, however, when the fanatical Khmer Rouge took over the country, and he is believed to be the only physician to have escaped the Khmer Rouge death camps. Growing up under constant fear and suspicion in communist Hungary, Livia Gyarmathy was ordered by the state to become a chemist, despite wanting to go to medical school. She eventually became a filmmaker, and produced the first–ever film about the Recsk labor camp–the Hungarian Gulag. The son of a merchant living in Cambodia, Kuy lived a "wonderful" life growing up before Pol Pot's Khmer Rouge seized power, forcing his family to flee in the middle of the night through the jungle to freedom. Growing up under Poland's communist regime, Vladimir Brandwajn was sent to a reeducation camp in 1968 and then forced to leave his homeland. László Tokés was born in Romania. He organized protests against the communist government, and was removed from his post as a pastor; this sparked protests that eventually led to the downfall of the Ceaușescu regime. Tokés is currently a Member of the European Parliament from Romania. A student leader of the Chinese Communist Party, Henry Li was swept up in the historic events of Tiananmen Square and came to see the truth about communism. To this day Henry remains haunted by the violence he saw more than twenty-nine years ago. Jon Basil Utley is the son of British and Russian parents who were targeted during the Stalinist purges for their ties to the Western world. Years after settling in America, Utley went back to Russia to find out the truth about his father, who was abducted in the middle of the night. Myroslav Marynovych is vice-rector of the Ukrainian Catholic University and founder of Amnesty International Ukraine. Despite having suffered as a prisoner of conscience for nearly a decade during the Brezhnev era, Marynovych has worked tirelessly to strengthen civil society in his native country. Oswaldo Payá was murdered by the Castro brothers because he dared to believe his country could be free from the grip of communism. Today, his daughter Rosa María tells his inspirational story and wages her own battle to finally bring democracy to Cuba. Dániel’s idyllic childhood was wrecked when communist authorities targeted his father. Though his efforts to escape communism brought Dániel to the 1956 Olympic Games and, eventually, San Francisco, Dániel remains deeply shaped by having grown up under that brutal system. Janos Horvath was imprisoned for four years by the communist regime in Hungary because of his political beliefs. In 2003, Horvath returned to the Hungarian parliament, becoming its oldest living member until his retirement in 2014. Yang Jianli was a rising star in the Chinese Communist Party before witnessing the bloody Tiananmen Square massacre of 1989. Since then he has committed himself to seeing a free and democratic China. Congressman Mario Diaz-Balart was born in America to Cuban refugees fleeing the newly installed Castro regime. Several of Diaz-Balart's cousins were killed after the Revolution for their ties to Mario's father, an elected politician. Now Congressman Diaz-Balart is working towards the day when he can visit his fatherland in freedom and security. Jinhye Jo was born in North Korea. After her father fled to China to get food for their family, the North Korean government tortured and killed him. Then officials took her mother away after she spoke ill of the communist government. President of the Czech Republic from 2003-2013, Vaclav Klaus grew up under the worst years of communist oppression in that country. Klaus went on to become a leading Czech anticommunist advocating liberal economic and political principles. Béla Krasznay (1922-2015) was born in Hungary. He was arrested and forced to work in a labor camp by communist officials. Béla was starved, tortured, and made to work in the mines. He was the President of Recsk Survivor's Association. The daughter of a three-star South Vietnamese general, Anhthu Lu grew up to the sounds of war and was forced to flee Saigon in the middle of the night. Tony (Than) Nguyen was born in Vietnam. Communist soldiers took his father away and the family was never told why he was being detained or where he was being held. After several attempts, Tony eventually fled Vietnam by boat. Help us tell their stories!